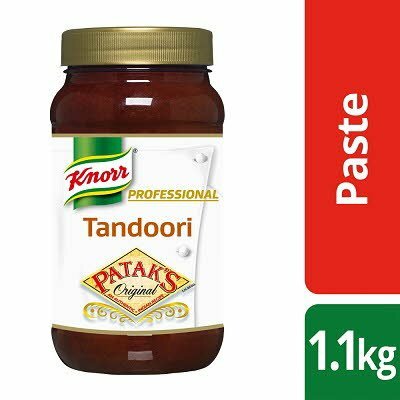 A Tandoori paste made with tamarind, ginger, coriander and a mild blend of spices. Water, ginger puree (20%), tamarind (8%), coriander powder (3.5%), salt, cumin powder, paprika powder, acids (acetic acid, lactic acid), garlic powder (3%), paprika extract, spices (contain MUSTARD). Made in a factory that uses nuts and peanuts. - Store in a cool, dry place away from direct sunlight. Once opened use within 6 months or before Best Before End date.